Marie is invited to a dinner date by her new classmate Steven. He is a very handsome and stylish boy, so Marie is having a quite hard time choosing what to wear for the date! If only she knew that Steven has the same problem! I’m sure you can help both young people find the best outfits and make them look cute. It's winter so there's a lot of warm and cozy coats, sweaters and more. Have fun playing this new free online fashion game for girls Date In Winter now! 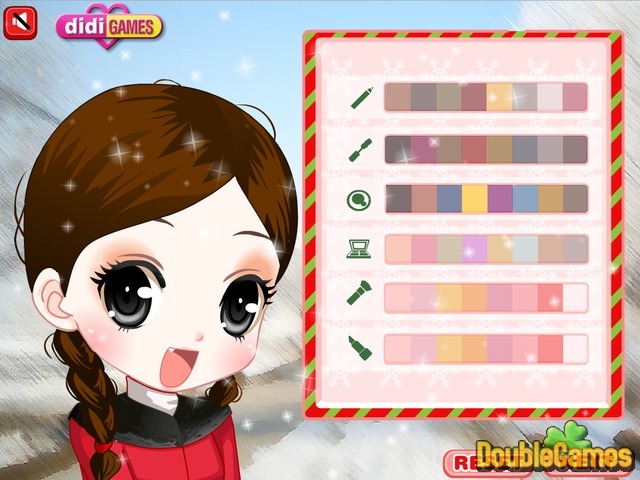 Title - Date In Winter Online Game Description - Pay attention to Date In Winter, a Time Management game produced by didi Games. Help two young people find the best outfits and make them look cute for the dinner date.